It’s that time again, to wind things up for now, until September rolls around again. This year we’ll be mixing it up, and our wind up will be on Sunday, May 27th, from noon to 3:30pm at the Marigold Restaurant on 1245 Inkster Boulevard. The cost is $22 per person. We hope to see you there! For any questions concerning the luncheon, contact Lucy. 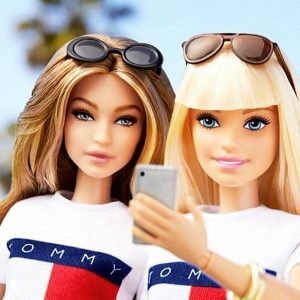 The model has teamed up with Tommy Hilfiger and is getting her own doll. 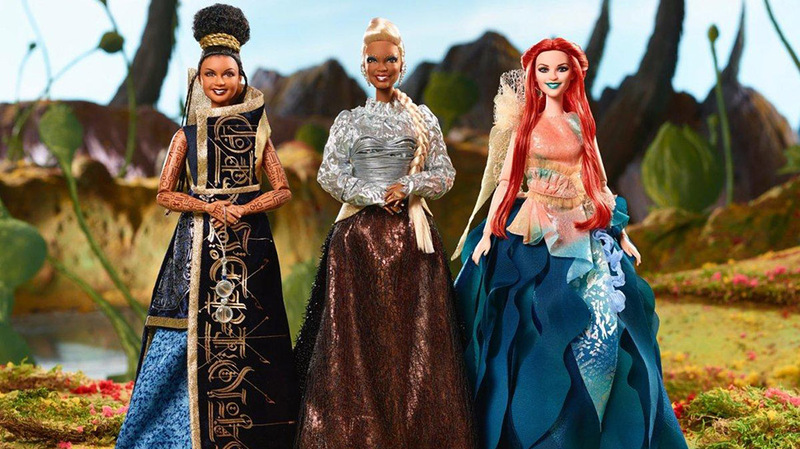 Apparently the date has been pushed back some, but is finally set to be released sometime this year. 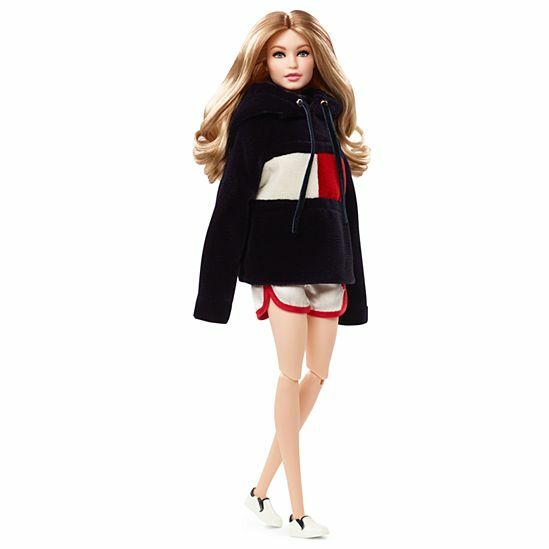 I’m not sure about the outfits, as the images in the T-shirt and colorful two piece were the first images released for the doll last year, but the recent ones shown while discussing this year’s release of the doll, is with the oversized hoodie. 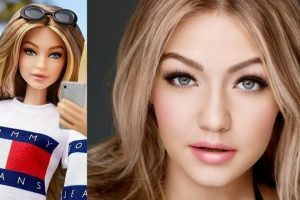 Regardless of which outfit, the doll has a beautiful face, and captures Gigi Hadid’s features well. 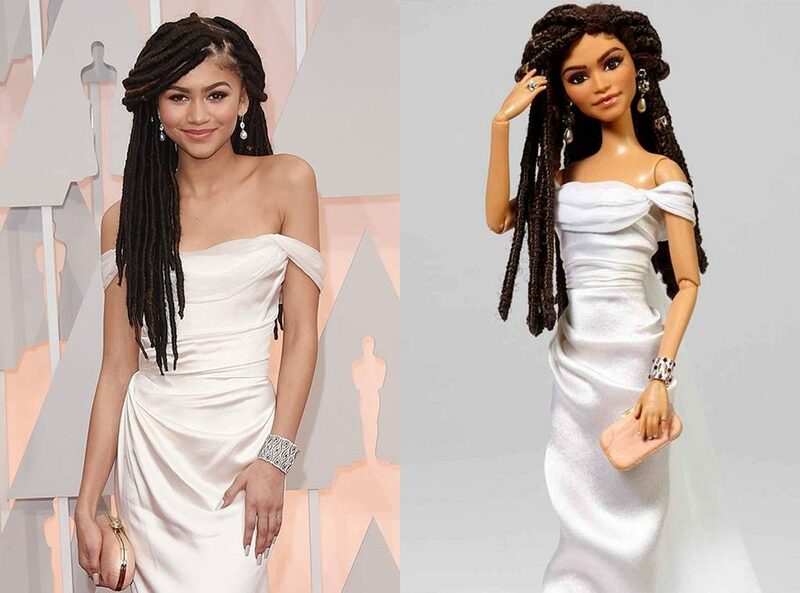 A doll of young actress and singer, Zendaya, was created out of a not so pleasant situation, where the young star attended the Oscars a couple of years ago with dreads in her hair, hoping to show all hairstyles can be beautiful. However, some controversy was created when a TV personality commented on her hair, saying she also expected her hair to smell like patchouli oil and weed, which people did not take well to, including Zendaya, who responded with a letter, explaining her choice of hairstyle for the event, and wanting to give a positive message with it. 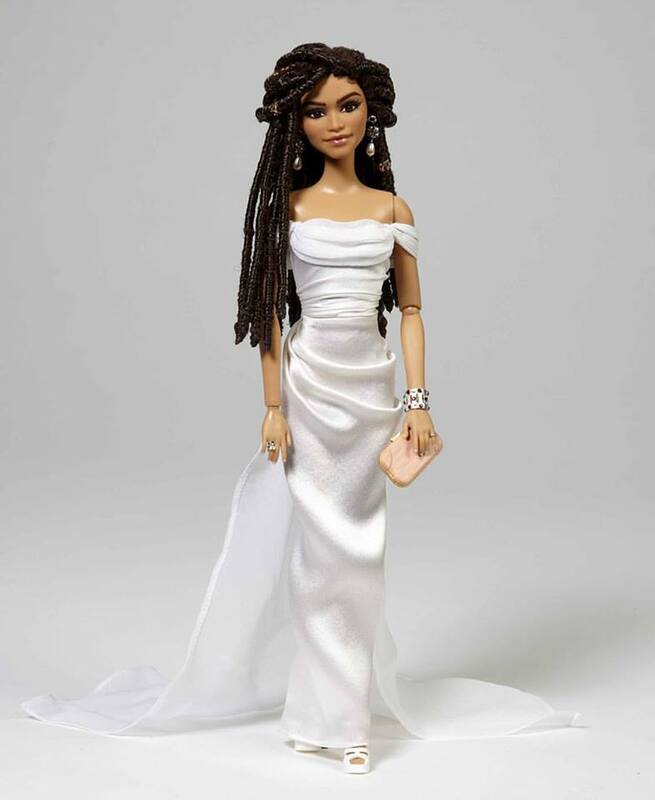 Mattel chose to respond to the situation by helping Zendaya to share her message of beauty, by creating a one of a kind doll in her likeness from the Oscars. To date, it still unfortunately seems to be a one of a kind, made specifically for her. We can only hope they may choose to make more and make it available to the public, as it’s a gorgeous doll. 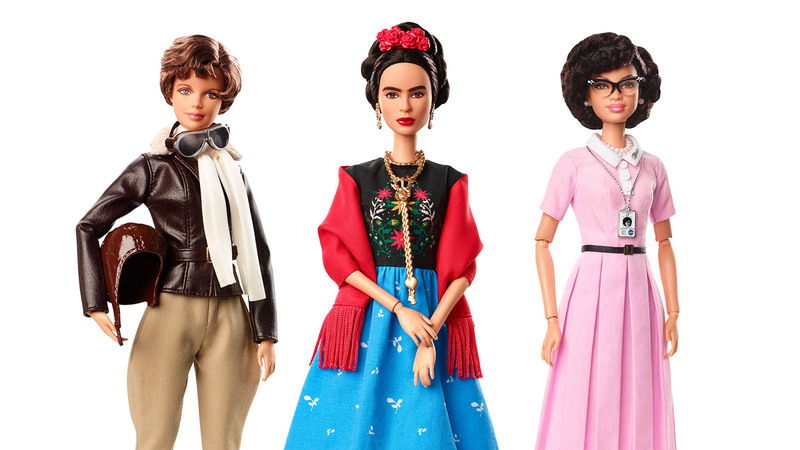 Mattel is trying to bring attention to role models, as they introduce their Sheroes collection, featuring a variety of role models from past and present. 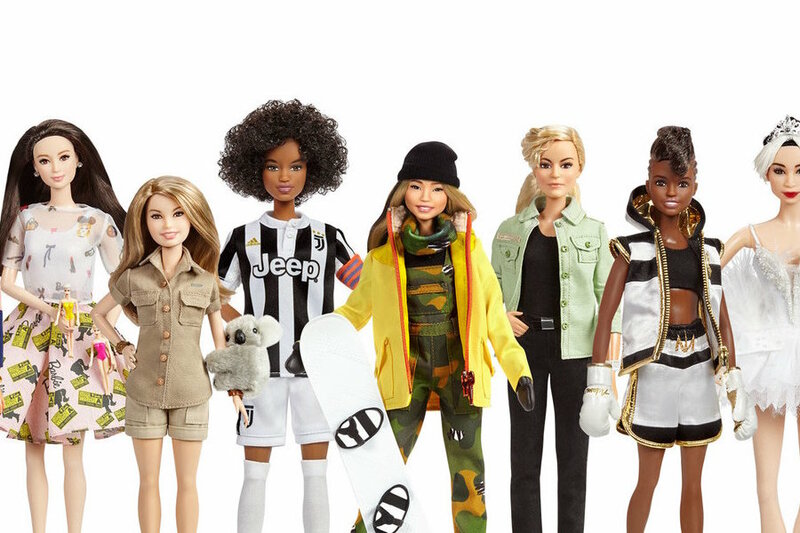 There’s snowboarder Chloe Kim; artist Frida Kahlo; filmmaker Patty Jenkins; US Olympic gymnast Gabby Douglas; boxer Nicola Adams Obe; young Australian conservationist Bindi Irwin; aviation pioneer Amelia Earhart; volleyball champ Hui Ruoqi; plus-size model and body activist Ashley Graham; NASA mathematician Katherine Johnson; chef Helene Darroze; soccer player Sara Gama; golfer Lorena Ochoa; windsurfer Cagla Kubat; TV host and Nat Geo Editor Martyna Wojciechowska; Chinese actress and philanthropist Xiaotong Guan; San Francisco Ballet principal dancer Yuan Yuan Tan; and the Tehran-born designer behind cult favorite fashion label lala Berlin, Leyla Piedayesh. They come in all shapes and sizes! 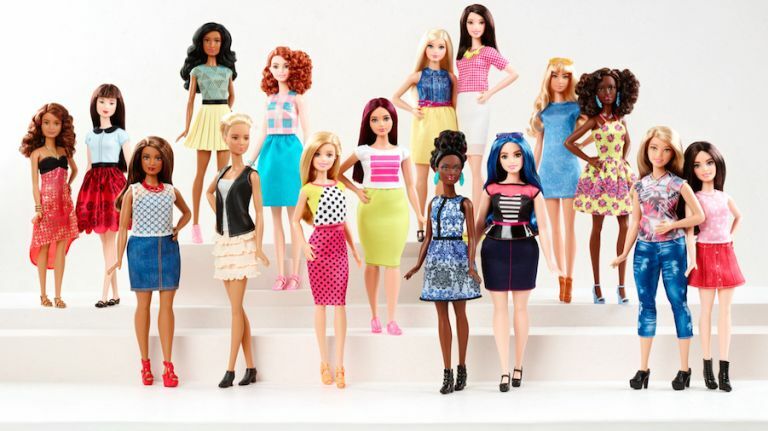 Sort of… The new Barbie bodies do come in some new shapes and sizes, including the original, a petite version, tall, and then also curvy Barbies, featuring a fuller figure, which comes in those variation of heights. 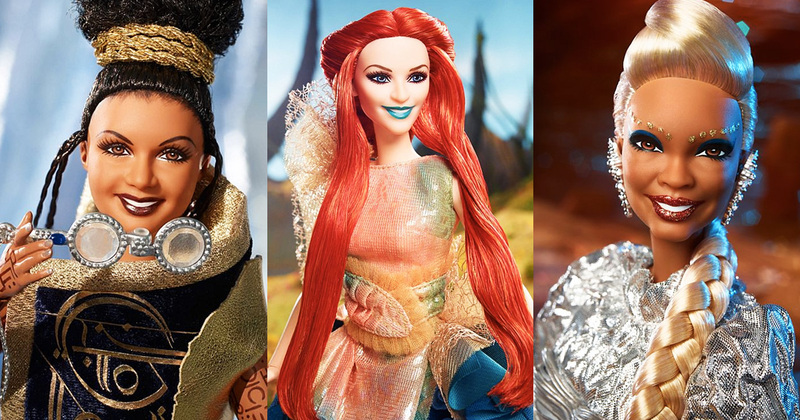 The new dolls also feature a wide variety of skin tones, and eye colors, along with all sorts of new hair colors; pink, purple, and even blue, to name a few. 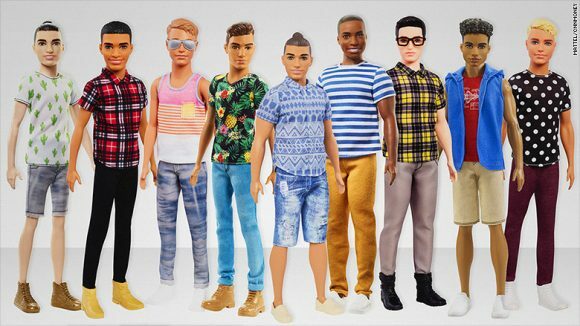 After the popularity of widening their Fashionistas range, Mattel went ahead and gave Ken a bit of a makeover, too. He now comes in original, short, and tall, with an original body size, a thinner size, and one that’s a little bit fuller or filled out. 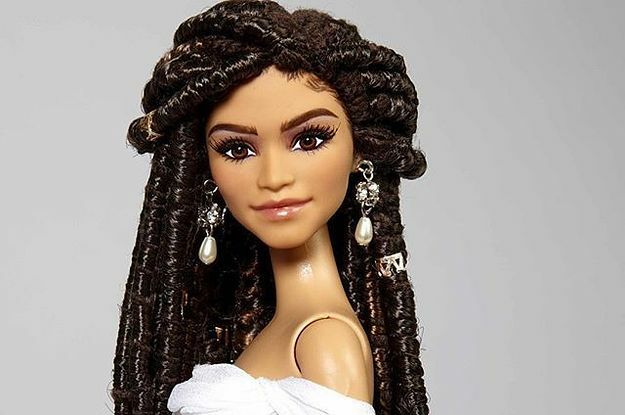 They also come in a whole variety of skin tones and eye colors, and an assortment of new hairstyles, going from tousled, to cornrows, and yes, even a man bun. March Meeting – We’re Back! As any of you who view the website can see, we are back up and running – finally! So although late notice, for those who aren’t already sure of our meeting dates, or need the reminder, our meeting is on Sunday, March 25th. We now meet at the Salisbury House on 787 Leila Avenue. Our meeting time is still 1:30pm, however if you wish to have a bite and have some fun conversations with other members, feel free to come as early as 12pm, as that is when the room is available to us. Our show and tell theme is March Madness, or The Mad Hatter and the March Hare. As there’s been talk, and I’ve also mentioned it on here, about many people being unimpressed with the faces on the new Belle dolls, and this particular repaint on the Disney Store doll by a very talented doll repaint artist, Noel Cruz (you should look up some of his other repaints, they are amazing), I thought I would share this as well. 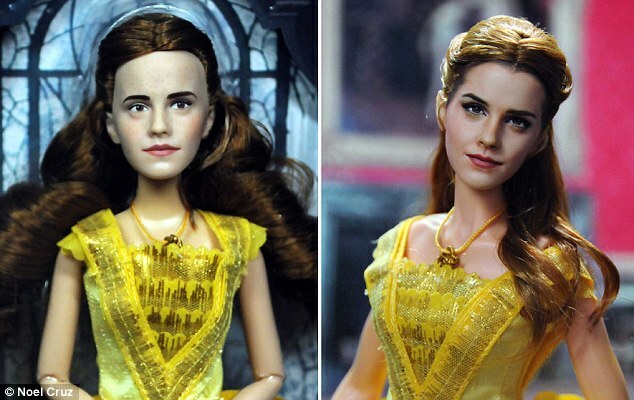 The face looks much more life like, and resembles Emma Watson, the actress who portrays her in the new live action movie. 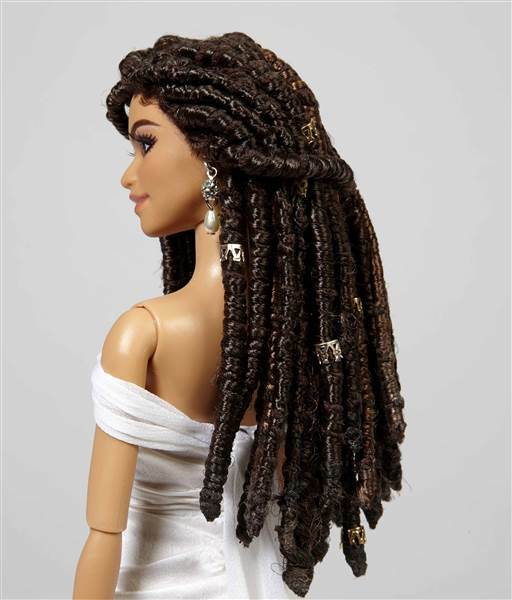 He also put the head on a new body, and appears to have changed the top part of the dress, along with redoing her hair, including a reroot, based on the color difference from before to after. It’s hard to believe that’s the same head mold. 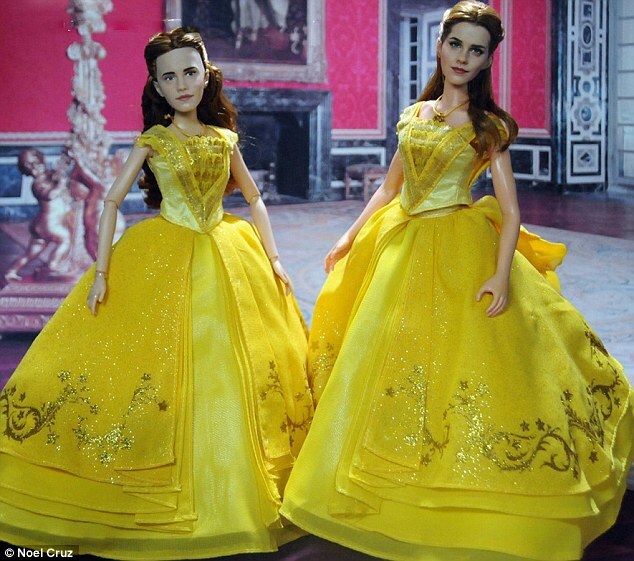 I think it’s safe to say, we all wish that’s what the new Belle dolls looked like. 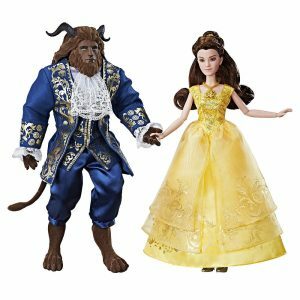 There’s another set of Beauty And The Beast dolls out, as opposed to the Disney ones that I shard last time. 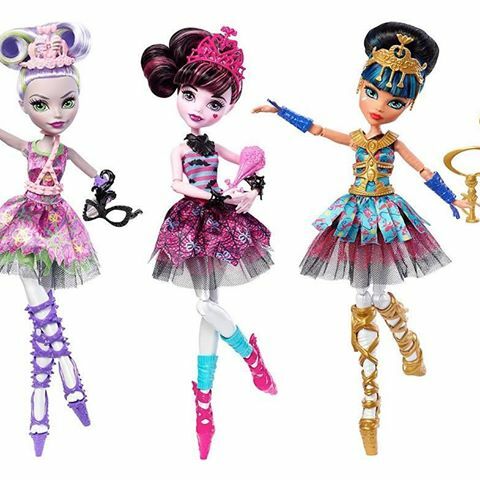 These ones are done by Hasbro, and are available at most stores, including Walmart, Superstore and Toys R Us. The second set, with the Beast back to his human form, is a Toys R Us exclusive, though. Depending on the store, I’ve seen them range from about $50 to $70, roughly. 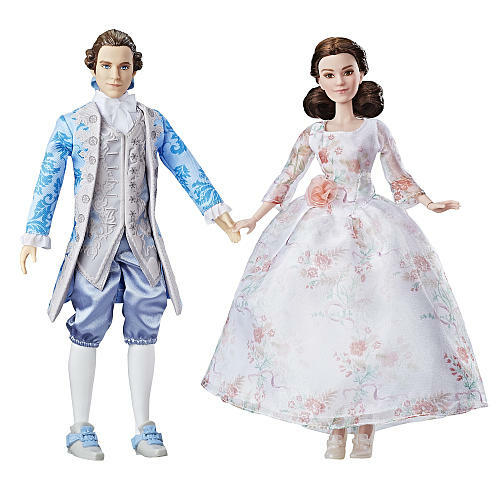 On the bright side, there has been no public comparisons of this Belle resembling Justin Bieber, however, the face still doesn’t look right, though is nicer than the Disney Store Belle’s face. The Beast is flocked, to give him a furry type look, and he’s done very well, right down to the hands and feet. 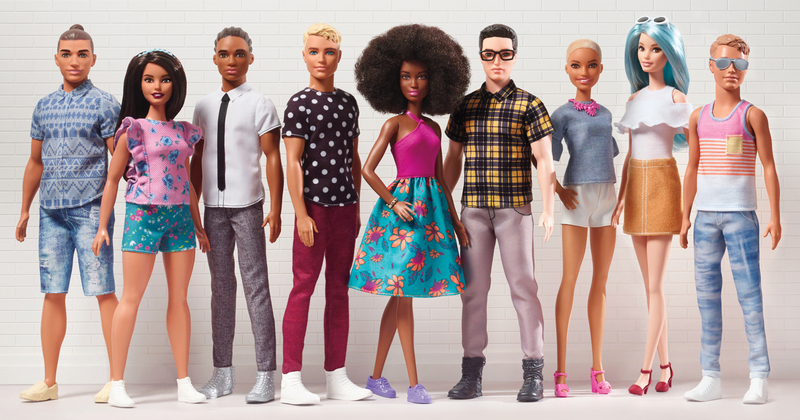 They are worth checking out in stores, just to see for yourself.